Perumbakkam is another suburb of Chennai that has risen to real estate popularity in the recent years. The locality is surrounded by several other prime residential and industrial locations like Semmenchery, Sholinganallur, Medavakkam and Sithalapakkam. Traffic-free roads, abundant supply of drinking water from the Perumbakakam lake and a host of shopping and entertainment options make the locality a perfect choice to settle down. Rest assured, your work and personal life will be in harmony if you buy flats or apartments in Perumbakkam. LML Homes proudly unveils SUGAM, a reaady to coccupy budgeted apartments with a majestic design at Perumbakkam. Sugam consists of 64 units built in 16 blocks ( Stiltplus2) 2bhk apartments ranging from 854 -994sqft. Sugam offers well equipped amenities with finest interiors for the finest living. 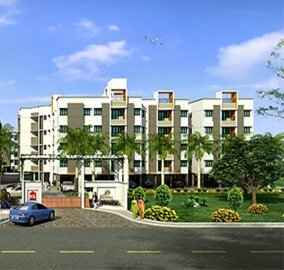 Radiance Presents Mercury in Perumbakkam,OMR that has 546 apartments spread across 6.2 acres of Land. Project comes in regular,2,2.5 & 3BHK apartments ranging from 966 Sq.ft. to 1475 Sq.ft and also compact 2BHK apartments & studio apartments within your budget. Urban Tree presents Oxygen in Perumbakkam, OMR. Project is spread across 9.03 acres of space, consisting of 636 luxurious green homes that also offers 42% open are to enjoy the joy of living in the nature. Apartments range from 421 to 1548 sqft with the and comes with finest amenities created with world-class standards. 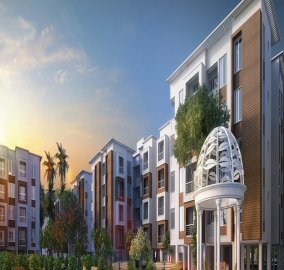 Malles Aashira Phase 3 is a luxurious apartment which has 478 apartments where it is surrounded by the green environment. The apartment is close to many important areas where it is spread across 550 to 1620 sq. ft. There are 1 BHK, 2 BHK, 2.5 BHk and 3 BHK flats provided for sale which is of affordable price. There are many facilities like jogging track, swimming pool, club house, etc. It is made by Malles Constructions Pvt Ltd which resides in Perumbakkam, Chennai. Ozone group presents Greens, extending over luscious acres consisting of vibrant towers, Apartments ranging from 657 sqft to 2566 sqft in 1BHK, 2BHK, 2.5 BHK, 3BHK and 4BHK luxury apartments. Greens is an extravagant development that offers comfort and provides ample luxury space that will always keep you smiling. 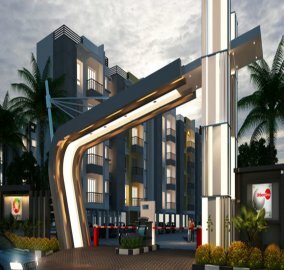 Malles Aashira Phase 2 is at Perumbakkam, Chennai which is constructed by Malles Constructions Pvt Ltd .The apartment is nothing but urban lifestyle, luxury, clean air, pure water, and nature. There are 478 apartments which is 700 meters away from Medavakkam–OMR link road. The apartment is close to many institutions, transport, healthcare, etc. There are 1 BHK and 3 BHK flats provided which are luxurious and is of the best price on the market. 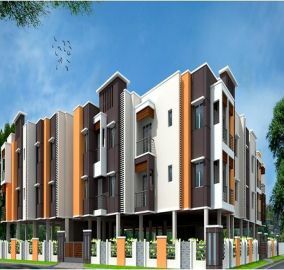 Ecstacy is a fine residential development by saradeuz consists of 100 lifestyle apartments in 1.3 acres at Perumbakkam. 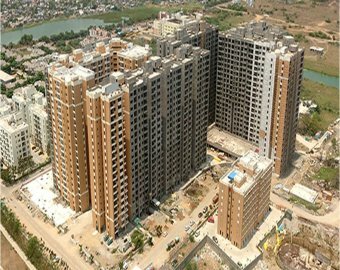 Projects offers 2,2.5 BHK 3BHK apartments ranging from 894 sq.ft to 1250 sq.ft and all the units are 100% Vaastu compliant & has all the major amenities to enjoy the joy of living. 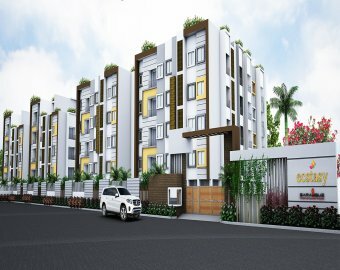 Malles presents Premium apartments in Perumbakkam, Akankssha dream edition consisting of 2 BHK apartments ranging from788-983 sq.ft., 2.5 BHK rqanginf from 1013 - 1075 sq.ft &3 BHK ranging from 1167 - 1317 sq.ft. Enjoy the noise & pollution free living in akankssha. Enjoy the finest of amenities that includes meditation center, mini theater, childrens play area, jogging track, tennis court etc. AKS Housing has built AKS Radiance in Perumbakkam which is a residential apartment and is placed across the busy Shollinganallur – Medavakkam road. The apartment is close to IT parks and SEZ and is also close to OMR and is opposite to the financial city. The AKS Radiance Phase 1 comprises of 2 blocks which is spread in 40 units. The phase 2 is also ready with the same demeanour. There are 1 BHK and 2 BHK apartments available at affordable range where the interiors of the home are designed in an ample manner. KG Good Fortune presents 195 homes which are magnificently placed across a vast expanse of 2.88 acres at Perumbakkam, Chennai. 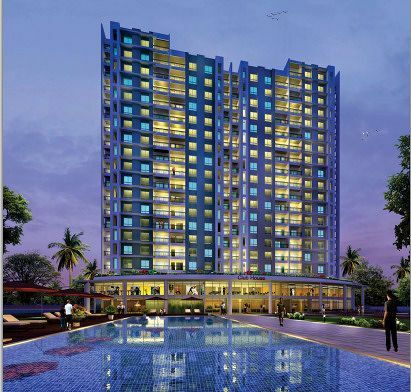 The homes at KG Good Fortune ranges from 525 to 1,580 Sq.FT. where there are 1,2,3 BHK flats in 5 blocks. The homes are crafted with materials of finest quality and urban architecture. Keeping with the customers’ requirements, the flats are built according to the vastu giving the home an avant-garde outlook. The amenities are chic and also provide a high level of comfort. 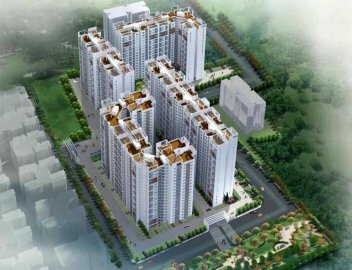 Indiabulls Real Estate Ltd presents Indiabulls Greens Phase II, a residential apartment for sale. It aims to provide a comfortable lifestyle with ample opportunity to indulge in a variety of recreational activities and residents will find various amenities to make life easier. It is located in Perumbakkam,Chennai. 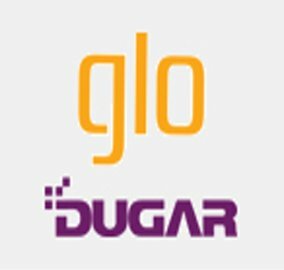 "Dugar Housing Ltd has constructed Glo Dugar, a flat for sale which offers you a blissful life with all possible luxuries. It is truly a paradise you can't wait to live in, encompassed with luxury and comfort for you and your family. They present 1 bhk, 2 bhk, 3 bhk flats which is a dream home for your family members. The apartment at Perumbakkam,Chennai is designed with enduring quality, appealing beauty and aesthetic interiors. Nexterra from PS Srijan group is a residential flat available for sale at Perumbakkam,Chennai. The project is well equipped with all the amenities to facilitate the needs of the residents. The property is surrounded by City's best Health institutions, Multiplexes, Tech Parks, Shopping Streets and Many more. They offer 2 bhk, 3 bhk residential flats developed with crisp elevation and efficient design. The flats have high/low rise residential apartments. The residents of Perumbakkam, Chennai are at a pro end because Haven from Saradeuz Realty Constructions have flats available for sale. The rooms have Vitrified flooring. The property is well ventilated with a spacious unit. They offer 2 bhk, 3 bhk residential flats created from world class construction standards and finest materials.The residential flats have a traditional rich exterior. 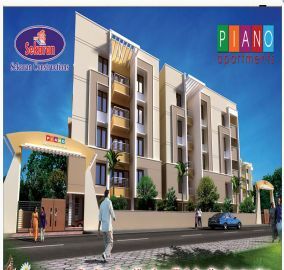 "Piano is a flat for sale of 2 bhk, 3 bhk where the project is set in a rapidly developing residential neighborhood having easy connectivity to the major transportation mediums. The residential flats is developed with unique and integrated residential complex. The flat is from Sekaran Constructions at Perumbakkam, Chennai. The apartment is developed with luxurious lifestyle space. Embassy Residency is known for providing spacious corridors and luxurious lobbies. This is a trademark offering which has never been comprised in all of the projects. 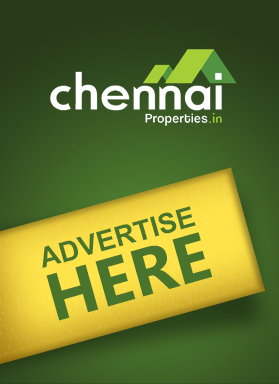 The flat for sale at Perumbakkam, Chennai. 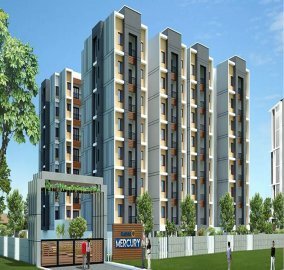 Embassy Residency offers 2 bhk, 3 bhk residential flats developed with luxurious lifestyle space.They offer residential apartment developed with contemporary design. Is a flat in Perumbakkam bound to appreciate in value? Since Perumbakkam is situated in close proximity to the IT corridor, it's highly profitable to own a property there. 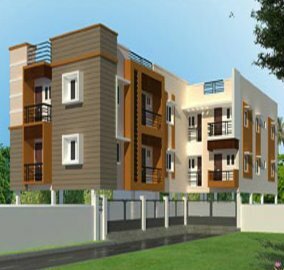 The real estate market in Perumbakkam has recently matured and several big names are developing residential projects here. Buying a flat for sale in Perumbakkam today ensures that you are on a good wicket in the years to come. 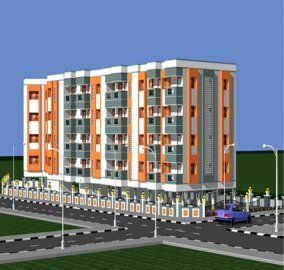 What sort of flats are available for sale in Perumbakkam? 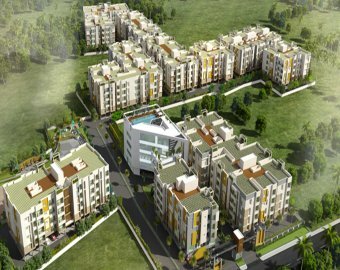 As Perumbakkam offers top-class housing facilities combined with reasonable prices, it has really attracted many investors. There are a wide range of home options for buyers to select from, including mixed developments such as apartment projects, high rise towers, villas and townships. Perumbakkam Main Road is very near Sholinganallur Junction, where it intersects with OMR and connects to ECR and other parts of the city. The area is also connected to Tambaram, a popular residential and commercial neighbourhood through the Velachery-Tambaram road. I work in an IT firm and I am very close to finalising on a ready to move in apartment in Perumbakkam, but I have been offered an onsite opportunity? Should I go ahead with the purchase? Definitely. Perumbakkam is considered to be a real estate hotspot in Chennai, due to its closeness to private IT firms. Proximity to hospitals, educational institutions, supermarkets, and other amenities ensures there is always demand for flats on rent. You could choose to rent your property before you move abroad. 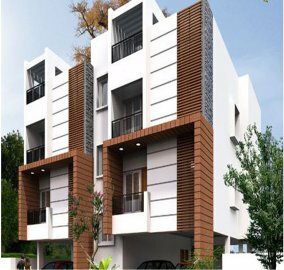 Why should I buy a flat in Perumbakkam? 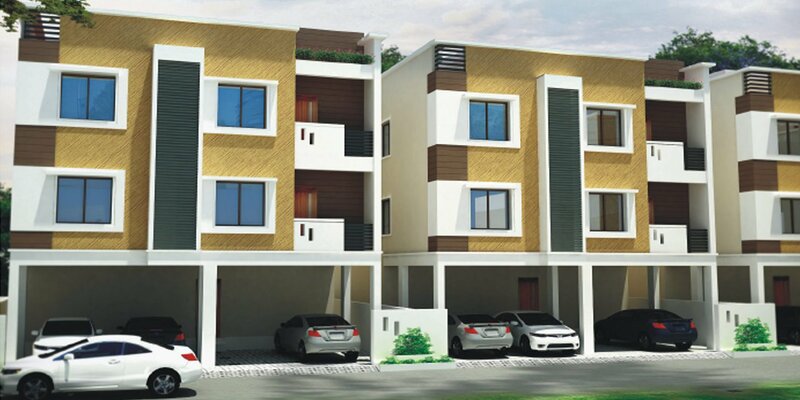 Apartments in Perumbakkam are popular for two reasons, low prices and proximity to the IT corridor. Apart from being in a fast-developing suburb of Chennai, flats in Perumbakkam are also backed by good social infrastructure in terms of educational institutions, recreation facilities and more.